I'm excited to be picking up a new job, courtesy of a prior client (Sean Dever of bounceablesma.com). 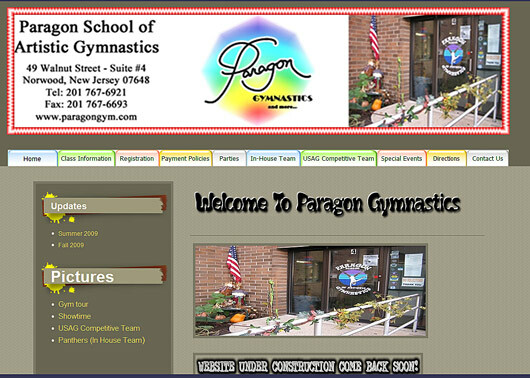 The site is called ParagonGym.com, web home of Paragon School of Artistic Gymnastics. The children's gymnastics facility is located in Norwood, NJ and it will be my first gymnastics website. Stay tuned! More updates on ParagonGym.com as they come!